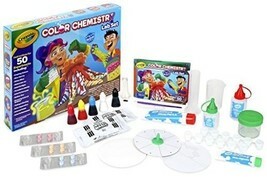 Calling all color-ologists, chroma-chemists and would-be color scientists of all kinds! the Crayola color chemistry set for kids is jam-packed with playful experiments exploring your favorite subject—color! 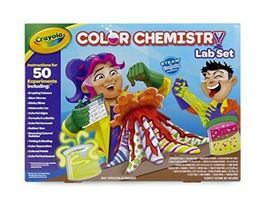 this kids’ chemistry set includes an easy-to-read instruction booklet that's packed with 50 colorful science activities to try out at home. And there are enough Crayola supplies to do 16 experiments right out of the box, including VOLCANO science projects. 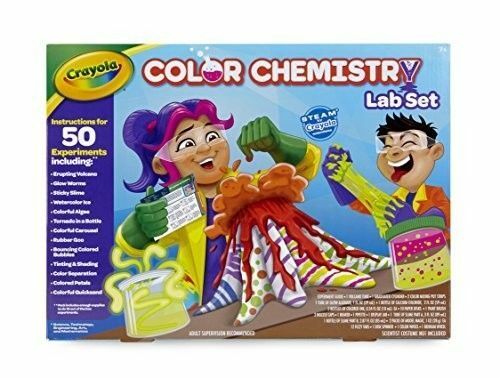 All experiments have been devised and/or approved by real Crayola scientists! fun, educational and creative, kids will love this educational toy with virtually endless creative possibilities! adult supervision is recommended.